Hello, hello! I've been busy working away on my costume for Emerald City Comic Con which is quickly approaching, but I figured I could take a moment and share some progress with you. 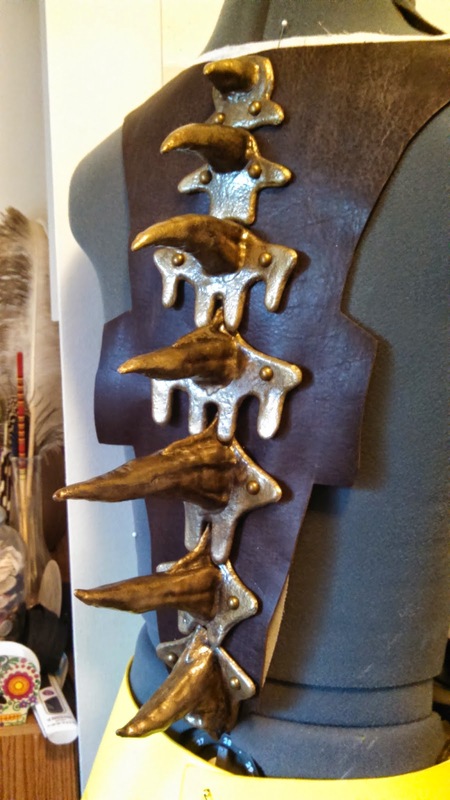 Last time I put up some pictures of my swords in progress (they are still in progress) but today I have some pictures of the actual costume! 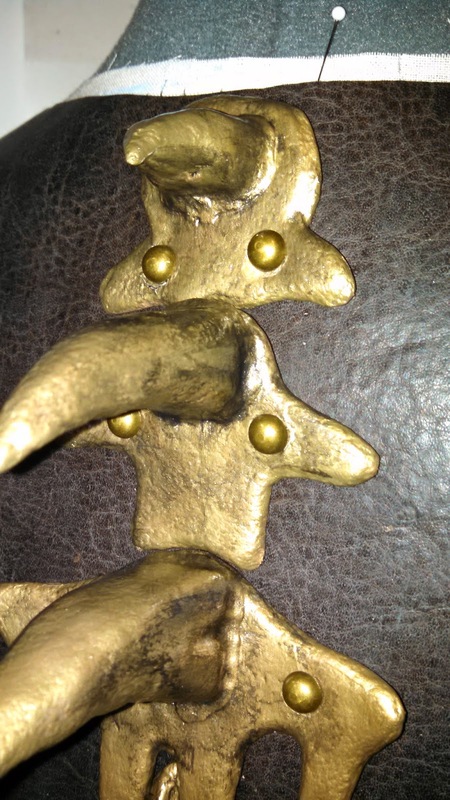 close up of the rivets. There was a little damage to the paint during the riveting process so a few touch ups are needed. I only have a couple of weeks left until the Con so it will have to be done by then. For now, back to paining! craft with all the things!